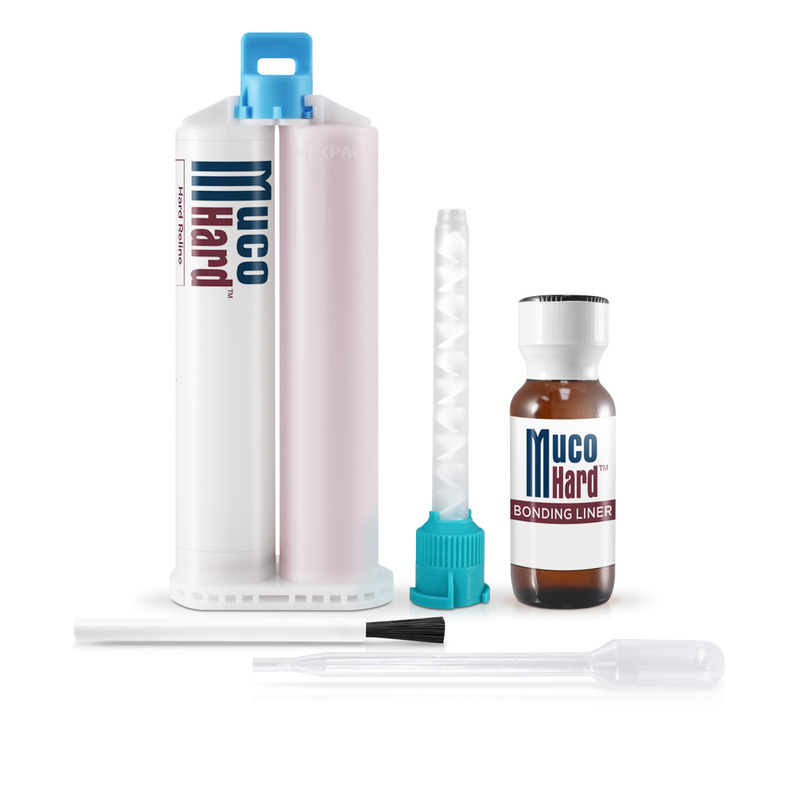 One 50ml cartridge of MucoHard auto-polymerizing resin One 15ml MucoHard bonding liner Mixing tips Brushes and pipettes. MucoHard™ denture reline resin produces strong, long-lasting chairside hard relines without inconvenient powder/liquid mixing. The natural-looking pink polymer blends beautifully and bonds tenaciously to most acrylic (methacrylate-based) denture base resins. 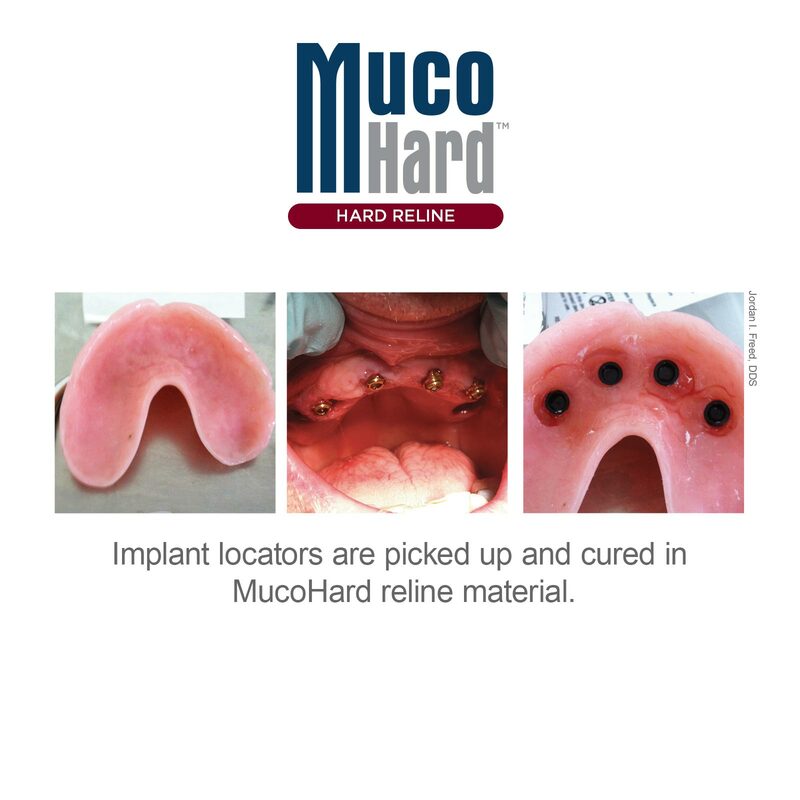 MucoHard is ideal for full relines or even small jobs such as customizing a post dam, extending deficient borders or picking up overdenture or implant attachment housings. Saves time for you and your patient, while saving the denture from a trip to the lab.